The chant that guns don't kill people is just a cowardly way of evading responsibility for Rep. Gabrielle Giffords' shooting and the six-death nightmare in Arizona, says Harold Evans. 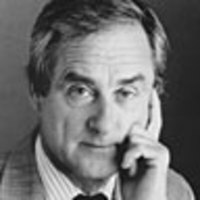 By all means deplore incitements in political speech, says Harold Evans, but let’s not get distracted from the real issue—how Congress makes it easy for anyone to kill. Blaming Tucson on the vile language in public discourse is a cop out. The crucial issue is not language. It is law. We are supposed to be a nation of laws but Democrats and Republicans alike run away from laws that would curtail the killings. They'll now talk endlessly about civility, about which faction is coarser (see rival edits in Wall Street Journal versus New York Times today). And if they do get round to the bullets that do the killing, it's a sure bet we'll get only the routine bromides. You will hear that for weeks now. It’s a line crafted by the National Rifle Association, chanted by ditto heads after every tragic shooting, every massacre. Is that so? If the Tucson madman did not easily and legally acquire his gun and the large magazine of bullets with it, would he have been able to vent his evil on a crowd of people, killing at least six and wounding 13? Of course not. Guns kill people. A single gun can kills lots of them in seconds. A single knife can’t. The gun has a unique utility for translating rage into instant killing. The gunman can kill at a distance or get close, concealing the weapon, and take the victims by surprise. The counterargument is that if a victim has a gun, the gunman won’t try. There is something in that. But the attacker always has the benefit of surprise. Sadly, it didn’t help Rep. Gabrielle Giffords that she is a gun owner and a keen Second Amendment supporter. Banks are well-defended but still get robbed. Sadly, it didn’t help Rep. Gabrielle Giffords that she is a gun owner and a keen Second Amendment supporter. • Full coverage of the Arizona tragedyThe chant that guns don’t kill people is just a cowardly way of evading responsibility for making a six-death nightmare of Rep. Giffords’ attempt to hear from her constituents, for ending the career of a fine federal judge, for carelessly ending the young life of 9-year-old Christina Green, who was intent on learning more about how America governs itself. • That the states with the most porous gun laws and highest gun ownership—Louisiana, Alaska, Alabama, Nevada—have the nation’s highest per capita gun death rates, according to the 2007 data from federal studies released by the Violence Policy Center. Conversely, states with lower rates of gun ownership and stronger laws had far fewer gun deaths. Best states for staying alive: Hawaii, followed by Rhode Island, Massachusetts, Connecticut, and New York. If you live in Nevada, you are three times more likely to die from firearms than if you live in New York. • That the keenest advocates of reasonable—repeat reasonable—gun laws are the police. Police chiefs are baffled that the NRA and the puppet members of Congress block the measures that would help the police trace murder weapons and close the gun-show loophole by which criminals and unstable people get their hands on weapons of mass murder. The cowardice of the politicians is wondrous to behold. During the 2008 presidential campaign, President Obama and his attorney general both promised to reintroduce the ban on assault weapons. Once elected, they fled the scene. Like so many in Congress, of both parties, they are scared of the NRA. But is the NRA membership as extremist as its leadership that routinely exercises its unscrupulous ability to whip up hysteria? 1. Would you support or oppose requiring gun sellers at gun shows to conduct criminal background checks? Answer: 69 percent of NRA members would and 85 percent of gun owners who are not members. 2. Do you agree or disagree with this statement: ‘The federal government should not restrict the police’s ability to access, use, and share data that helps them enforce federal, state, and local gun laws. Answer: Of NRA members, 69 percent agreed there should be no restrictions and 74 percent of the others. Maybe the NRA is the Wizard of Oz. The appalling shootings in Tucson are a chance to find out. Harold Evans, author of two histories of America, just published his memoir, My Paper Chase. Editor at large of The Week, he was editor of The Sunday Times from 1967-81 and The Times from 1981-82, founding editor of Condé Nast Traveler, and president of Random House Trade Group from 1990-97.